With the new Muppet movie hitting theaters the day before, we'll be glad to see the crew's sanest member showing up to represent. 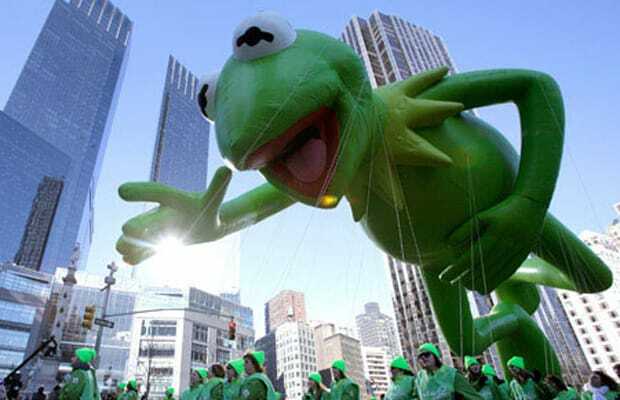 We've got to admit, though, while we're glad to see Kermit doing his thing so long after his first 1977 appearance, the parade's long overdue for a Swedish Chef cameo. Just saying.